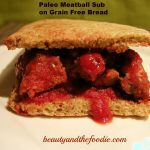 Meatball sub sandwiches used to be a favorite of mine, before I went grain free.I needed to make a paleo- friendly version. This is really a “go to” meal for me. And can be made relatively fast, if I have the meatballs or bread made in advance. 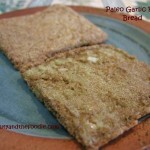 There is a link you can click on below the recipe for my grain free garlic bread shown in photo. 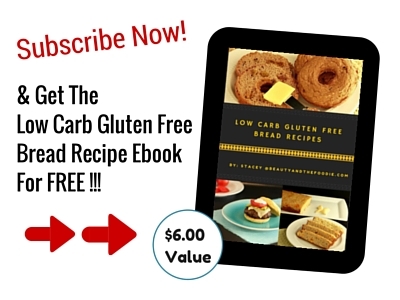 It is a fast, easy, grain free, 1 to 2 serving, bread you can make very quickly. 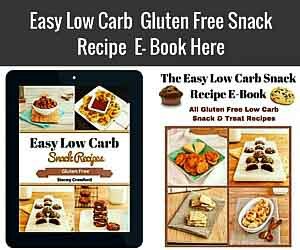 Please support the team by buying: Gluten Free Low Carb Recipe Books. This is really a satisfying comfort food, for when you're craving Italian food. 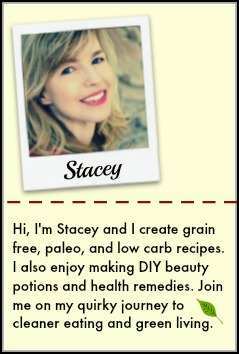 1/2 Tbsp Coconut flour or flax meal. 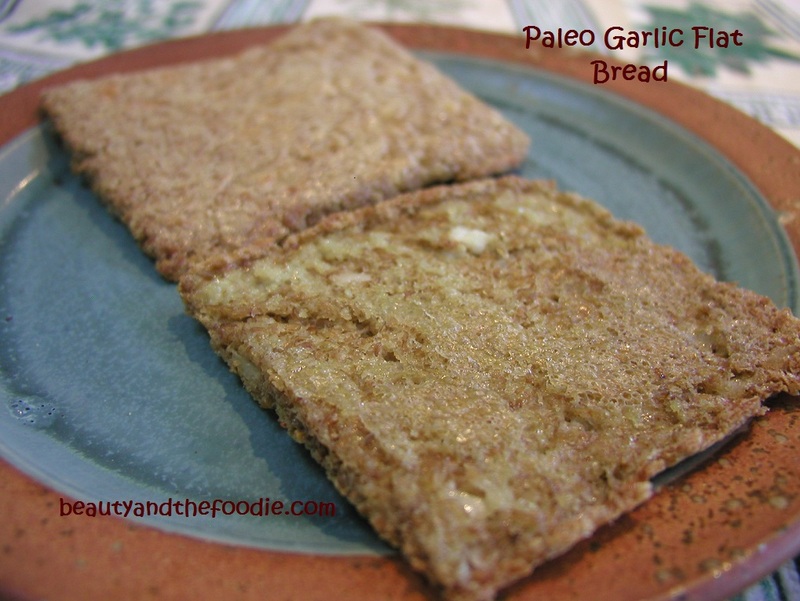 2 slices paleo bread recipe link for the paleo garlic bread shown in photo is below. Mix in a large bowl all meatball ingredients except the 1/2 Tbsp oil. Form meat mixture into small round balls. Heat a fry pan on stove-top and add oil. Place meatballs in pan and fry on all sides till browned, then cover pan and cook on medium for 7 minutes. While meatballs are cooking, put a sauce pan on medium heat and add all the sauce ingredients. Bring sauce to a medium boil and add the meatballs to the boiling sauce. Turn down heat to low, then cover and simmer for 10 minutes. 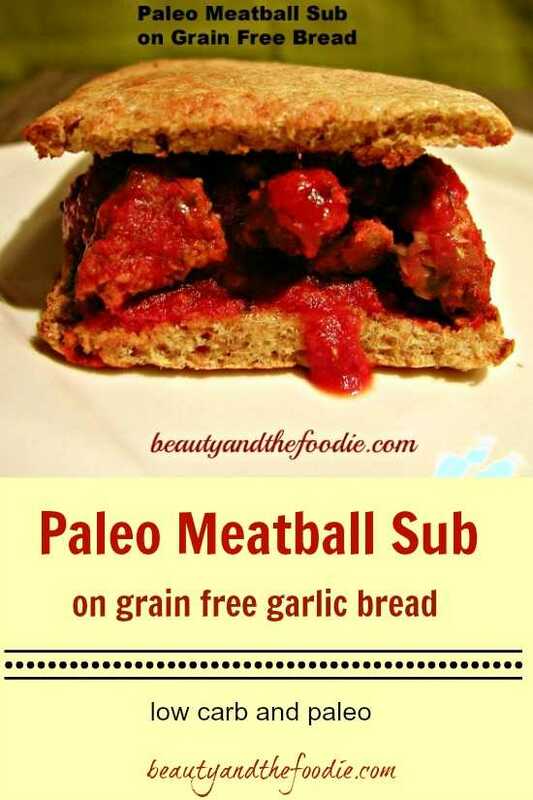 Top paleo bread with meatballs and sauce ( there is a link below for paleo garlic flat bread recipe). 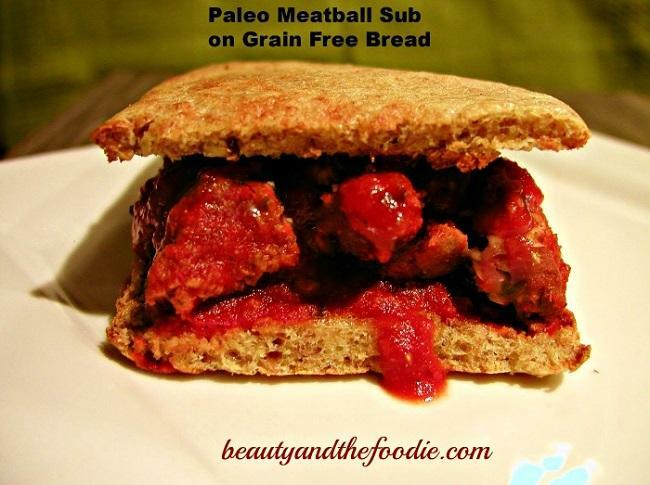 Are the nutrition facts for the whole sandwich or just the sauce and meatballs? Looks really yummy! Thanks! Hi Jenny, the nutrition data is for the the meatballs and sauce, and the nutritional data for the bread is on the bread recipe page. The bread is only adds 1 g net carbs. 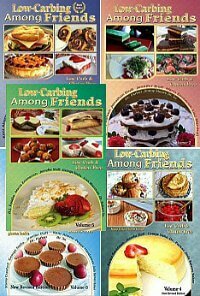 If you are counting net carbs. I will work on putting those together and in the post, so it is easier to see the nutritional data for the whole sandwich. This looks really good! I can’t wait to try it. Hi Betsy, I hope you like it. Let me know if you have any questions. Thank you for commenting and trying.